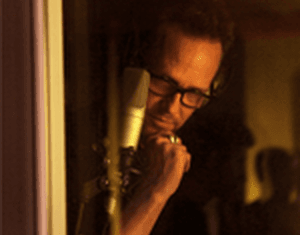 Dean Winters Signs On - Mythic Bridge Inc. Exciting News! Dean Winters (Oz, 30 Rock and from the new All State commercials) has joined the Mythic Bridge team. Yesterday afternoon he recorded the voice-over for the Mythic Bridge documentary. Recording was done at Sonic Wave Studio. This is a very exciting development for all involved. Thank you Dean for your support. We all thank you.